Do you support the decision of the Boy Scouts of America to let girls join? On Wednesday, October 11 the Boy Scouts of America announced they will let girls join the organization. Starting in 2018, girls will be able to join the Cub Scouts, which is for children in grades 1-5. A program for older girls will roll out in 2019. The smallest unit of Cub Scout organization, called a "den," will still be single gender, either all boys or all girls. Those dens come together to form a "pack." Existing packs will be able to choose if they want to stay single gender. Girls have been trying to get into the Boy Scouts for years. They argue that the Boy Scouts and Girl Scouts do not offer the same opportunities, and it is unfair to exclude a girl who is more interested in the Boy Scouts model. According to leaders of the New Hampshire Boy Scouts, entire families may also be more likely to participate in scouting if girls are welcomed. Opponents of the decision argue that it will undermine the Girl Scouts, ultimately depriving girls the opportunities and safe space of the Girl Scouts. After the Boy Scouts announcement, the Girl Scouts issued a press release that said girls benefit more from a program tailored to their unique developmental needs. Patricia Mellor, CEO of the Girl Scouts of the Green and White Mountains, told NHPR she was surprised the Boy Scouts didn’t instead try to partner with the Girl Scouts to serve young women. 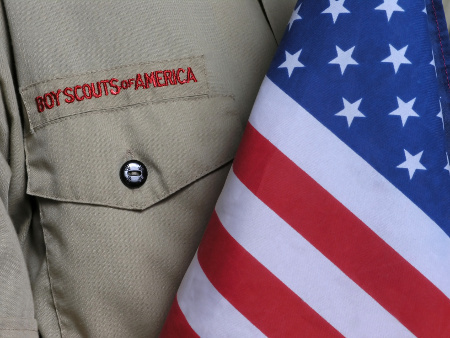 Do you support the decision of the Boy Scouts of America to let girls join? Share your opinion in the comments below. There Is a reason why the BOY Scouts and GIRL Scouts were created. BOY scouts is for boys. Girl scouts is for girls. Girls SHOULD NOT get to have ANY alternative requirements. Girls should go through the same exact thing that the boys go through. If they want the rank of Eagle, then they have to do the same stuff that the boys have to do. I agree with Chuck Malias, if girls are allowed to join Boy Scouts, then boys should be allowed to join Girl Scouts. Boys will be left with nothing. The BSA will fold in no time. Girls and boys are different. I predict girls will do better in the boyscouts than boys. There is no physicality in the merit badges. The mobility is based on learning things like the oath, motto, how to tie knots, cooking, etc. It is an environment that is primarily based on knowledge, and learning. Girls are doing better in school because of the amount of attention given to them. The bigger stronger, more competitive boys will gravitate towards sports. Can we put boys on the girls swim team? On the girls basketball team? Are boys permitted to join the Girl Scouts? If not, there will be a lawsuit within 6 months.